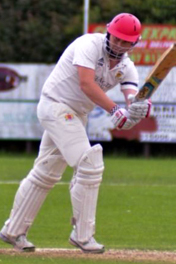 Preston Cricket Club welcomes Blake Mills for the 2017 Season. Welcome to the 2017 Cricket Season..! The Club is very much looking forward to the 2017 season. Preston CC have been working very hard throughout the winter months to improve both our Grounds in Preston and Whitwell. After last season’s net development project where two brand new training nets were built on the old net footprint, we felt that other facets of the club also needed improvement. Preston Cricket Club invites it’s membership to attend the club AGM on Saturday 18th Feb and 6pm. To be held at Preston Village Hall. Afterwards we will retire to The Red Lion for beers and something to eat. Please come along and listen to what’s happening and have a say – it’s your Club and it’s your money. Support what’s happening. 2016 Season! Welcome New Players.. Happy New Year to all our Membership and all their families. We are already looking forward to a fantastic 2017 season and really hope to build on the amazing successes of the 2016 season. Final Herts League match reports for 2016 (weekend of Sep 3rd/4th). The Thirds win the Div 10B title, the Firsts give themselves some hope in Div 2A, and the Sunday Ones finish 3rd in Beds league Div 2 after another century from Justin Powick. Match reports for August 27th/28th 2016. The Third XI’s 9th successive win guaranteed them promotion with three games left, but it wasn’t as easy as they hoped…. Sadly, defeats for the 1sts and 2nds left both feeling that their promotion hopes were probably gone for this season. Match reports for Sat 20th and Sun 21st August 2016. Match reports for Saturday 13th and Sunday 14th August 2016. It was a Grand Slam Saturday for Preston as all four sides won their Herts league fixtures. Then the Sunday Ones chased down a huge score at the Field of Dreams, while the young stars of the future led the Twos to a comfortable victory at Great Gaddesden. Preston’s overseas star Justin Powick struck a faultless 111* as the villagers recorded their third consecutive home win in SHCL Div 2A. In the course of his 28th innings of the season, Justin also passed the club record for runs in a season, 1550, set by Marcus Baines back in 1989.